A changing Selection from the Studio for purchase. Visit studio by appointment. 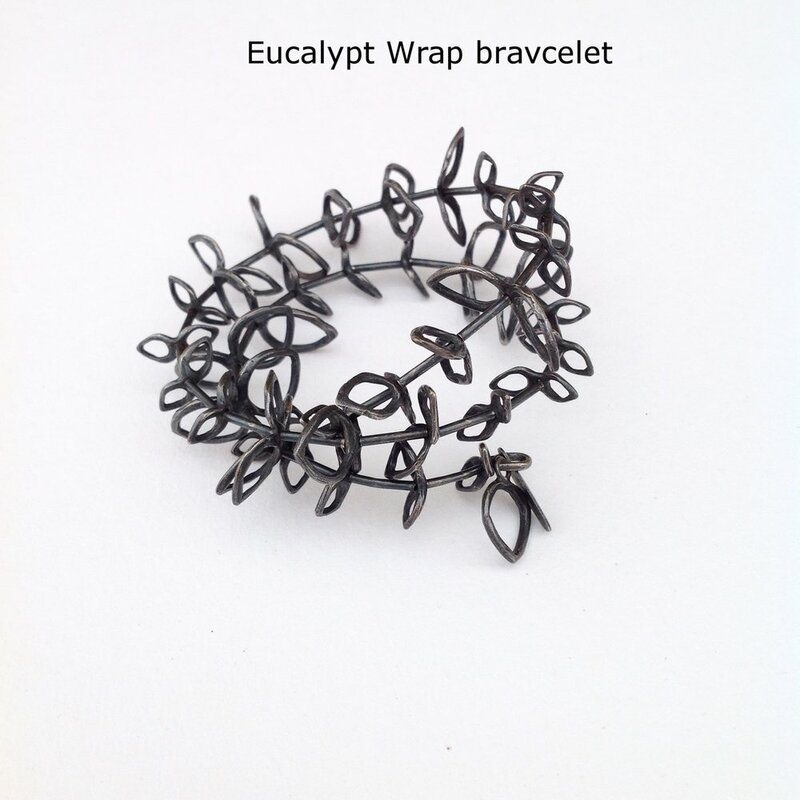 Oxidized sterling with memory wire, Eucalypt inspired bracelet adjustable size by Valerie Mitchell.